Pancreatitis is inflammation of the pancreas - an organ in the digestive system which secretes digestive enzymes. Pancreatitis occurs when these enzymes start to attack the pancreas itself. Acute pancreatitis: short-term inflammation of the pancreas; pain comes on suddenly and usually lasts for several days; it may develop into a serious medical condition. Chronic pancreatitis: long-term inflammation of the pancreas; may worsen over time; leads to permanent damage to the pancreas. The symptoms of pancreatitis may differ depending on whether the person has acute (new) or chronic (ongoing) disease. It usually causes strong or severe abdominal pain during an attack. The symptoms of acute pancreatitis tend to disappear after several days, but about 10-20 per cent of people develop severe problems that can become life-threatening. People with severe abdominal pain should seek immediate medical help. Most people with chronic (ongoing) pancreatitis have episodes of abdominal pain that come and go. Each episode may last for hours, days or even weeks at a time, then settle down. Repeated episodes of upper abdominal pain that may radiate to the back. Pain that gets worse after eating or drinking alcohol, altough often there is no obvious trigger. Pain that improves with bending or sitting forward. Over time, people with chronic pancreatitis suffer long-term damage to the pancreas. This can lead to other symptoms. For example, the pancreas produces hormones that regulate blood sugar levels. Permanent damage to the pancreas means that it might not be able to produce these hormones normally, leading to the development of diabetes. Symptoms of diabetes may include increased thirst, increased urination and tiredness. If your pancreas is not able to make enough digestive enzymes to properly digest food, fat and other nutrients cannot be absorbed from your intestine, resulting in fatty stools, weight loss and malnutrition. People with chronic pancreatitis also have a greater risk of developing pancreatic cancer than people without the condition. A range of factors can cause pancreatitis, and the exact cause is not always clear. Gallstones: small, hard stones that form in the gallbladder; these may block the entrance to the pancreas, trapping the digestive enzymes inside; the enzymes then become activated while still inside the pancreas (instead of when they reach other parts of the digestive tract), causing inflammation to the pancreas. Excessive alcohol use: it's not exactly clear how alcohol causes pancreatitis, but experts think it may happen because alcohol irritates or activates the enzymes in the pancreas, leading to inflammation. It is not known why some people develop severe acute pancreatitis, but researchers have found that people with a certain genetic mutation are much more likely to have severe attacks compared to those without the mutation. Around 70% of chronic pancreatitis cases are caused by excessive alcohol use over many years. Heavy alcohol consumption can lead to ongoing inflammation of the pancreas, causing permanent damage. Sometimes, chronic pancreatitis follows repeated episodes of acute pancreatitis. Some inherited conditions and genetic mutations can cause chronic pancreatitis (e.g. people with cystic fibrosis have a genetic mutation that has been linked to chronic pancreatitis). Immune system problems (autoimmune pancreatitis). Narrow or blocked opening to the pancreas. In some cases the cause can't be identified. Pancreatitis can affect people of any age. Acute pancreatitis is most common in middle-aged and older people, while chronic pancreatitis is most common in middle-aged men aged between 45 and 55 years. Men are more likely to develop pancreatitis caused by alcohol consumption, while pancreatitis caused by gallstones is more common in women. A person suspected of having acute pancreatitis will usually be admitted to hospital for tests. This is because there is a risk of serious complications. The doctor will ask about the history of symptoms and perform an examination. Blood tests will be done to check the levels of an enzyme called lipase and sometimes, another enzyme called amylase. Raised levels of lipase and amylase suggest acute pancreatitis. Some people will need an ultrasound, X-ray, CT scan or MRI scan of the abdomen, or an ERCP to look for gallstones or damage to the pancreas or to examine the bile duct. It can be difficult to tell if a person will develop severe pancreatitis, so most people will be monitored closely in hospital to see how they progress. Chronic pancreatitis is usually diagnosed by scans that look at the pancreas. These may include an ultrasound, CT scan or MRI scan. Another type of scan, called an endoscopic ultrasound, may also be done to look very closely at the pancreas. This involves passing a thin, flexible tube through the mouth and down to the stomach. The tube has an ultrasound probe and a light attached to it so that doctors can see images of the pancreas. Some people may require a biopsy of the pancreas, which involves taking a small sample of cells from the pancreas. This can also be done as part of an endoscopic ultrasound test. The cells are then sent to a pathology lab to be examined. Most people with acute pancreatitis need to be treated in hospital and monitored closely. Fluid therapy through an intravenous (IV) drip to prevent dehydration. Nutritional support: some people are not allowed to eat solid food during an acute attack, and receive nutrients through a feeding tube. Other people may be able to eat some food while in hospital, depending on how severe the pancreatitis is. Medicine: strong pain relievers (e.g. morphine) may be required; people with severe pancreatitis may also be treated with antibiotics. People who develop serious complications may need specialised treatment in the intensive care unit (ICU). If there is an obvious cause of pancreatitis, such as gallstones, the doctor may treat that condition as well. Sometimes surgery is required to remove damaged areas of pancreas or to treat complications. Lifestyle changes are a major part of the treatment for chronic pancreatitis. The most important step is to avoid alcohol, even if it isn't the direct cause of chronic pancreatitis. This is because alcohol can cause ongoing damage to the pancreas, as well as severe pain and other serious complications. Dietary changes are also important, because chronic pancreatitis can affect the body's ability to digest nutrients. A low-fat, high-protein diet may be recommended, along with enzyme supplements to be taken with meals to improve digestion. People who smoke should stop smoking. 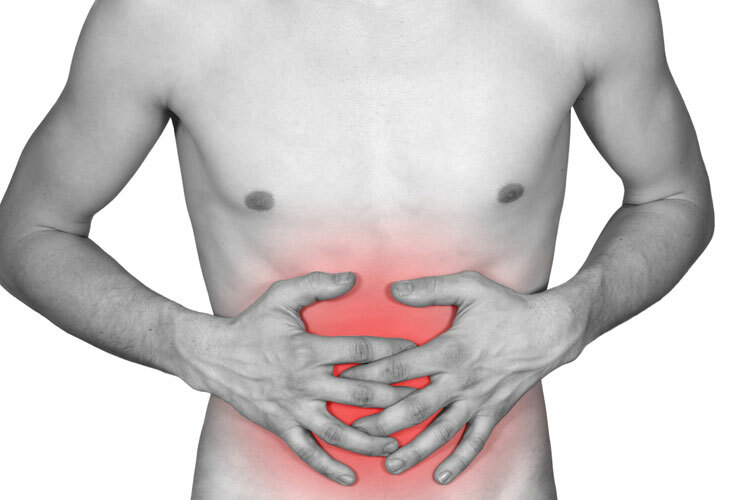 Many people need to take mild pain relievers, such as paracetamol or codeine, to treat persistent abdominal pain. Stronger pain relievers may be needed for more severe pain. If medicine isn't effective, surgery (either to remove damaged parts of the pancreas or to block the nerves transmitting pain from the pancreas) may be recommended. Following a healthy lifestyle can help to minimise the chances of having acute pancreatitis. For example, the chances of having gallstones (one of the main causes of acute pancreatitis) is much lower in people who have a diet that includes lots of fresh fruit and vegetables, wholegrain foods and nuts, and minimal fatty foods. It is also important to try to maintain a healthy weight and do regular exercise. Reducing alcohol consumption can also lower the risk of developing acute pancreatitis. What is the outlook for people with pancreatitis? Most people who get mild acute pancreatitis recover within a week. However, it can be severe and cause serious problems in some people and may even lead to death. Some people will have further episodes of acute panreatitis. Each time the pancreas becomes inflamed, there is a risk that it will become permanently damaged. People with chronic pancreatitis may have lifelong symptoms, with intermittent pain and difficulty with food absorption. However, people who do not consume any alcohol or smoke cigarettes usually have less pain and live longer than those who still drink alcohol and smoke after being diagnosed with chronic pancreatitis. 1. Acute pancreatitis (revised February 2011). In: eTG complete. Melbourne: Therapeutic Guidelines Limited; 2012 Nov. http://online.tg.org.au/complete/ (accessed Mar 2016). 2. NHS Choices. Chronic pancreatitis (revised Mar 2015). http://www.nhs.uk/conditions/Pancreatitis-chronic/Pages/Introduction.aspx (accessed Mar 2016). 3. NHS Choices. Acute pancreatitis (revised Mar 2015). http://www.nhs.uk/Conditions/Pancreatitis/Pages/Introduction.aspx (Accessed Mar 2016). 4. Mayo Clinic. Pancreatitis (revised Sept 2013). http://www.mayoclinic.org/diseases-conditions/pancreatitis/basics/definition/con-20028421 (accessed Mar 2016).